When kids start to grow up a little they start to get really interested in Christmas and they also get a lot more fun. 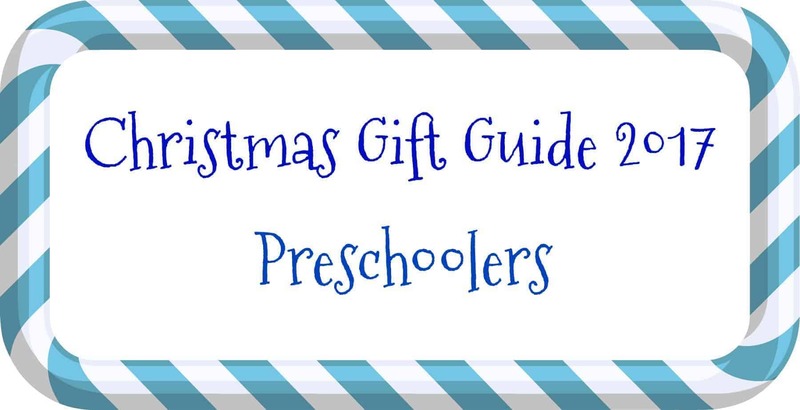 Finding the right gifts for preschoolers can be a minefield as there is just so much available. Check out this list below for some of the preschooler gifts I have been sent and don’t forget to enter the competition at the bottom to win your very own ZhuZhus play set. This disgustingly fabulous family game comes with a free app and a phone holder that allows you to record your reactions in slow motion as the dog squirts you with water. You know that preschoolers would will love this one especially when to do pees on a grown up. To be fair anything with wee or poo is perfect for this age of child so I just know this will be a hit. This small BRIO World police station set is an ideal introduction to BRIO or a way of increasing the size of their collection. It comes with a Police vehicle with lights and sounds as well as two figures. The BRIO World sets all children to really get their imaginations flowing whilst being a good combination of wood and plastic that make the sets robust yet have play features that a wooden only set couldn’t manage. Another disgusting family game but this one sees Gassy the Cow create some horrible noises out of her bottom as well as shoot out plastic wee, poo or mega poo disks. Definitely one to make the kids giggle, Gassy the Cow is for 4 years plus and for 2 to 4 players. My youngest Alison always wanted to create paintings but the mess put me off. I really wish I had Paint-Sation available when she was younger. The gravity defying paint stays in the pots even when turned upside down and this Paint on-the-go set included 3 stackable pots and a fantastic carry case that means you can take it with you and let your preschoolers get creative no matter where you go. We recently reviewed the Harry Potter version of the Top Trumps Match game and absolutely loved it. The simple play means that it is suitable for young children as well and the carry case means everything stays together all in one place. As it is available in lots of different versions including Star Wars you will be able to find the perfect Top Trumps Match game for your child. Super Wings is a new programme for preschoolers and it is growing in popularity. There are lots of different sets available but this is my favourite. When my girls were preschoolers they were obsessed with playing with figures and creating their own stories and I love the fact that this set has so many characters all in one set. Funny Bunny is a simple to play family game were you need to race to the top of the hill to get to the juicy carrot. Suitable for 2 to 4 players you pick your bunny colour and what out because you might fall down one of the rabbit holes. This is a really simple game to play that is lots of fun. This large floor play mat helps to teach colours and numbers whilst also being lots of fun. There are 4 different modes including sing song mode which has 3 different songs including the favourite “bing bong song” which I am sure all of the parents will enjoy! The mat features a lot of the characters from the Peppa Pig show and I am sure it will be a hit with the kids. PJ Masks are extremely popular this year and this PJ Masks Night Sight game from Ravensburger is perfect for little fans. Suitable for ages 3 plus and with cool masks that allow you to see hidden images it is lots of fun. A great memory and teamwork game for 2 to 3 players, which character would your child want to be? We love Paddington bear and with the new film due to be released in cinemas next week I just know that this Dancing Paddington will be well loved this Christmas. Dancing Paddington is wearing calypso shirt that is reversible to make his classic blue coat and he dances along to a calypso beat as well as saying 5 different phrases. ZhuZhu pets have been around for quite a few years but with the new ZhuZhu Pets cartoon on Boomerang they are once again growing in popularity. With lots of different characters to collect each with their own personality and birthmark as well as a variety of play sets ZhuZhu pets make a great gift. For your chance to win your very own ZhuZhu pets play set fill out the rafflecopter form below. The prize is a ZhuZhus playset as per the post. Prizedraw ends at Midnight on 19th November 2017 GMT.